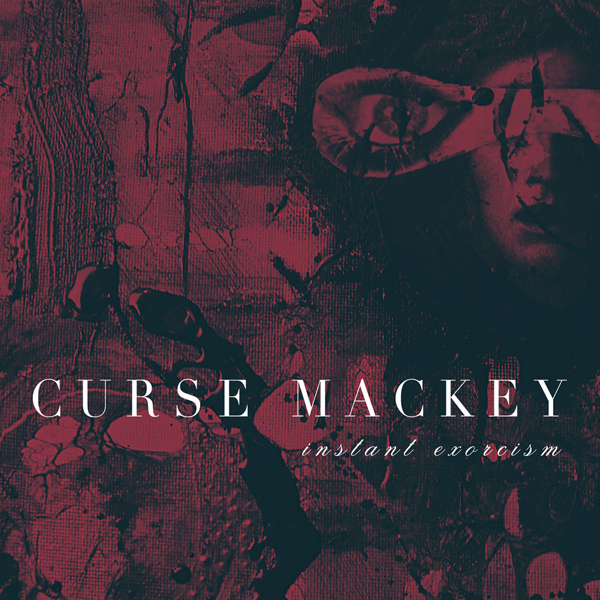 Long known for his tenure in bands like Pigface and Evil Mothers, Curse Mackey is now making his debut as a solo artist with the release of Instant Exorcism. 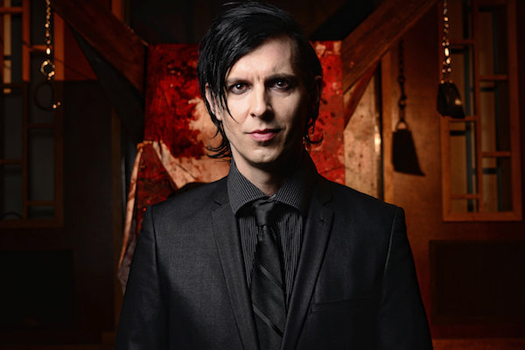 Blending elements of industrial, post-punk, goth, and even a bit of synthwave, the album is as Mackey explains, “like a personal exorcism,” one that is “Influenced by the past and all the experiences of my life to this point, but not constrained or obligated to it.” He goes on to say that “Working from a solo project perspective presented an opportunity for me to write with a clean slate, to broaden the brush strokes and create something that represents where I am at today.” Instant Exorcism was produced by Mackey and Chase Dobson (Black Tape For a Blue Girl, Tycho, c.db.sn), mastered by Mackey’s longtime Pigface band mate Steven Seibold, and is due out on May 10 via Negative Gain Productions. The first two singles – “O’Blasphemy” and “After You, Destruction” – are available to hear via Bandcamp; there may audiences pre-order the album in CD, digital, vinyl, and cassette formats. Curse Mackey recently conducted a solo tour with Clan of Xymox, on which he unveiled the material found on Instant Exorcism. He also appears as a guest vocalist on INSOMNIÆ, the debut album from Rona Rougeheart’s SINE, independently released on January 11. In addition, having been a periodic member of My Life with the Thrill Kill Kult, Curse Mackey will be a special guest on the band’s upcoming Strange Affairs Tour, beginning on May 5 in Las Vegas, NV and continuing until June 15 in San Diego, CA>; a full listing of tour dates can be found on the My Life with the Thrill Kill Kult website. is he going to play with pigface ? Perhaps, though there’s been no official word on who will be part of the Pigface tour yet. It’s likely they’ll make announcements on the lineup in a few months as we get closer to the tour.